Washington County Service Center-Forest Lake is an acceptance agent/passport office. For passport service in Forest Lake, MN you can go here for passport help. Washington County Service Center-Forest Lake is a County / State facility that is able to witness your signature and seal your passport documents - standard processing is 4-8 weeks. This office DOES NOT issue passports, they will send your passport forms directly to a regional passport facility. 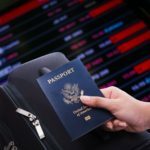 There is 1 other passport acceptance agent offices located in Forest Lake. Washington County Service Center-Forest Lake is located in Forest Lake County, Minnesota. Washington County Service Center-Forest Lake is not a passport issuance facility and you will NOT receive a passport on-site there. Passport issuance times through the Washington County Service Center-Forest Lake vary from 2-3 weeks (For standard mail-in expediting) to 4-8 weeks (for standard submission). 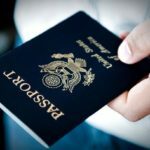 It is not possible to get a passport any faster than this through an acceptance agent like Washington County Service Center-Forest Lake.